Providing you the best range of swivel clamps, goggo nut, wing nut, tie rod / formwork, cuplock verticals scaffolding and cuplock ledger horizontal with effective & timely delivery. 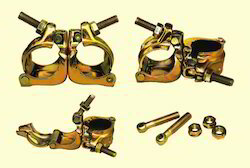 We are a reliable entity in this domain, affianced in offering a superior quality assortment of Swivel Clamps. Our complete product array of clamps is manufactured in adherence with the defined quality standards using high quality raw material with the help of cutting-edge technology at our vendors end. For providing a defect-free product assortment to our esteemed clients, our experienced quality controllers check the offered clamps on various quality parameters. Further, we offer these clamps at very reasonable price to the clients. With the help of our skilled professionals, we are offering a qualitative range of Goggo Nut that is extensively demanded in electrical industry. The offered nut is manufactured with high precision at our vendors end using superior quality metal and ultra-modern technology. 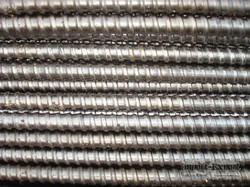 The product is highly demanded in the market for durability and availability in different specifications. We offer this insert at very nominal price to our esteemed clients. For the diverse requirements of our clients, we are emerged in the supply of Wing Nut. These products are widely used in industrial and construction sector for many purposes. its are available by as client demands. We are supplier of Tie Rod. 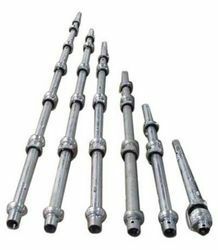 Our Tie Rods are widely appreciated by our clients which are situated all round the nation. As well as housing sectors.These products are available in various customizations and at reasonable rates. Backed with rich industrial experience, we are engaged in offering supreme quality Cuplock Scaffolding that is available in numerous dimensions and specifications in order to meet several needs of our patrons. The offered product is manufactured by our deft technocrats using supreme grade raw material and innovative technology. This product is widely demanded for its robustness and quality. The provided product passes through various parameters of quality for ensuring its strength and quality. 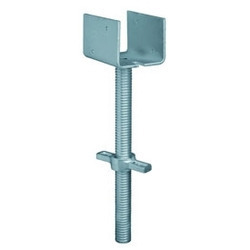 We have a wide range of Vertical and Horizontal Standard Cuplocks for Scaffolding.These products are durable in nature and sturdy in design. All these products are quality tested before the final delivery to the market. 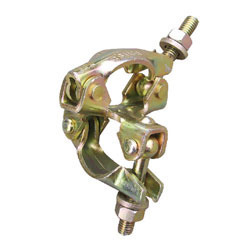 Being a well-established organization, we are offering a wide range of superior quality Scaffolding U Jack that finds wide usage at construction sites. 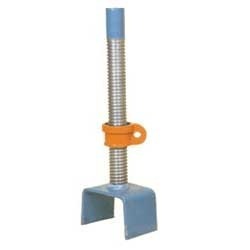 This jack is manufactured using high quality metal and advanced technology by our trustworthy vendors. Our complete product array is widely demanded in the industry for various applications. 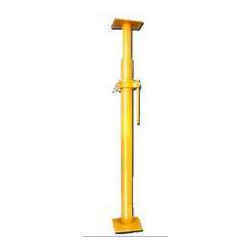 Our clients can avail this jack from us in diverse specifications at market leading price. Our huge industry expertise of this domain has assisted us to provide our clients with a wide range of Fixed Clamps that is highly demanded in electrical industry. For manufacturing the offered clamps, our associated vendors make use of the best quality material and sophisticated technology. These clamps are well checked on different parameters by our experienced quality controllers. Our product array is is available in various sizes to meet diverse requirements of our clients. 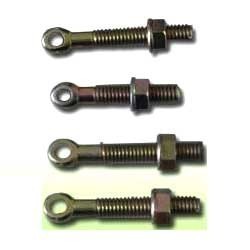 Serving our customers in the past years, we have gained expertise in supplying premium range of I Bolt. These I bolts are excellent screws with loop on one end and thread on threading on the other end. 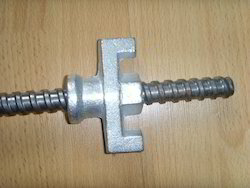 These I bolts are typically used in Scaffolding Clamps for efficient attachment of Clapms. We are providing the Sprinkler Clamp for our customers. Inclusive of fire extinguishing systems and free hanging of horizontal pipe lines, these clamps are used for various applications. Supported by their one-piece clip, these clamps guarantee a high permissible load. Also, these clamps are adjustable in height and their locking device allows an easy pre-mounting. 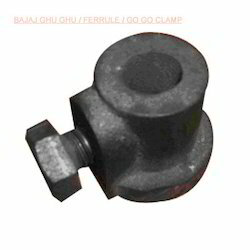 Moreover, these clamps come with their rust proof and heat resistant properties. PROPS provide the ideal and the most economic method of support for all kinds of framework, slabs, beams, wall & columns. They are also invaluable for a wide variety of applications in general building construction and repair work. PROPS eliminate the costly labor and time consumer in cutting timber to length, wedging and nailing when used in the vertical as a prop.The high tensile steel pin is located through a slot in the outer section and a hole on the inner section for coarse adjustment. Veer Scaffolding is one of the largest and reliable suppliers of Scaffolding and Shuttering in India. Props are available on rent and hire for construction of residential, commercial and industrial sites.